Here comes Issue 3! And while you may be full from all the tasty recipes in our Kitchen Issue, save some room for Cherry Pie (this month's featured model)! 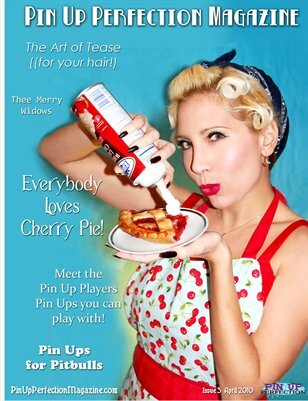 This issue is jam packed with all the pin ups you know and love as well as Adam Ramirez's Pin Up Players, The Art of Tease, and interview with Jamie Bahr of The Punk Blues Review, in-depth with Pin Ups for Pit-bulls our new photographer spot light and some other amazing articles! Check it out!